Graduated from Greenfield-Central High School in 2009. Graduated from DePauw University in 2013 with a major in Biology. Graduated from Indiana University School of Dentistry in 2018 with a Doctor of Dental Surgery (DDS) degree. I am committed to staying up to date with the latest dental procedures, technologies, and materials through research and continuing education. We never stop learning! I believe that dental health starts with patient education. I strive to give my patients all necessary information and treatment options first. I start with the big picture of your dental health and narrow down to the best overall option to meet your goals. Dental health if vital to systemic health! Remember, it is never too late to achieve the smile you have always wanted! I spend a lot of time with my family and friends. I am married to my beautiful wife, Katelyn. Although we have no kids of our own, we currently have 15 nieces and nephews. They are a wonderful bunch who keeps us quite entertained and busy. I really enjoy playing sports, especially in the summertime. Soccer, wake boarding, and sand volleyball are among my favorites. You might see my dog Marvin around the office if you come to visit us. Marvin is in training to become our comfort dog. 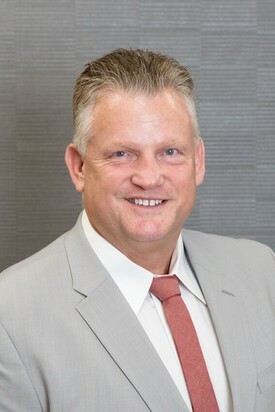 Dr. Brian Kirkwood graduated from New Palestine High School. While attending Ball State University, he earned a double Bachelor of Science Major in Biology and Pre-Med/Pre-Dental, as well as a Classical Culture Minor. 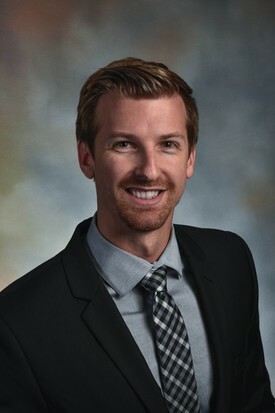 Dr. Brian Kirkwood Finished dental school training at Indiana University School of Dentistry. The university training was just the beginning, as I strive to gain 2-3 times the Indiana State Dental Board license requirements for Continuing Education per year. I believe that dental training is ever ongoing, as methods, materials and equipment is changing and evolving. My staff and I attend Dentalcare.com & Chicago Dental Society conferences yearly (to name a few), to stay on top of the latest in dentistry practices. I have annually donated complimentary Dental Services to the needy, homeless, those in pain, and uninsured/under-insured. In all 30 years of practice, I am proud to say that I have accepted the state's welfare programs. Give Kids A Smile®, Donated Dental Services , and all forms of the Healthy Indiana PIan are organizations/plans that I am involved with. Beginning in High School, through my college years and continuing to present, I have viewed my work with numerous plilanthropic organizations as a life long commitment to the community. I've been an active member (22 years) of Rotary International, which is a network of 1.2 million global neighbors who unite to create lasting change. I started 4 separate scholarships through Rotary with funding from Countless AAU State Tourneys and other Fundraisers. I was involved in early board membership and initial fundraising for the Hancock County Veterans Park. https://www.greenfieldin.org/residents/hancock-county-veterans-park. Leadership positions have been held in most organizations such as Rotary- President or Board Member for 19 Years, The Arc- former Vice-President and board member: https://www.arcind.org/location/hancock/. While we were undergraduate students attending Ball State University, I met my wonderful wife Charlotte. We are blessed with two beautiful children, Trent and Mallory. Our family has been members of Park Chapel Christian Church since 1991. Coaching soccer, basketball and other sports while our children grew up, helped me realize a passion I didn't know I had. Helping them out as a Cub Scout and Boy Scout Leader, plus a Merit Badge Instructor was an honor I hold dear. The following are some of my hobbies, passions, interests, and desires: Top priority is our Family time. Next, not in any order are: hiking, outdoors, boating, swimming, canoeing, fishing, mowing, golfing, tennis, photography, tinkering, fixing, dogs, cats, horses, sheep, pigs, chickens, gardening, designing, office setups, barn design, construction and ever learning. While in college, I was involved in intramural events such as football, basketball, wrestling, soccer, softball, track, billiards, foosball, and ping-pong. I also was a student staff, mentor, student teacher, Greek, Cancer Researcher, Service Fraternity member, Boy Scout event judge, handicapped helper, SOC leader and Hall Representative. Even after my DDS was earned, I was a Referee for several years. High School (HS) was highly enjoyed with sports like Football, Wrestling and Track. I participated in and thoroughly enjoyed additional activities such as FFA, French Club, Honor Society, Lettermans, Key Club, 4-H, 4-H Jr. Leaders, Shop, hay baling and detasseling. While still in HS, I started a barn and home Painting business, then Roofed Houses for 10 years.